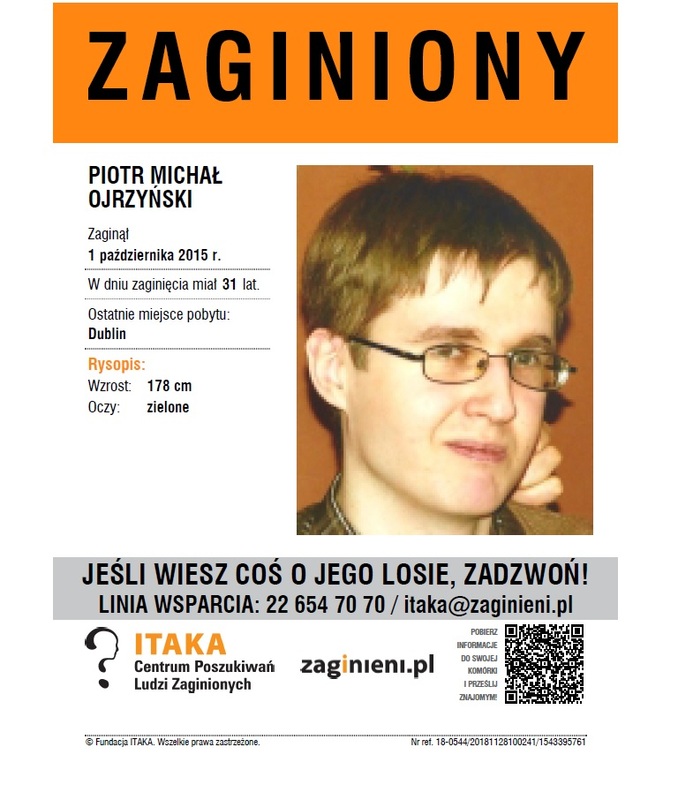 Śladami polskości’ – Tracing Polish footprints in Ireland. 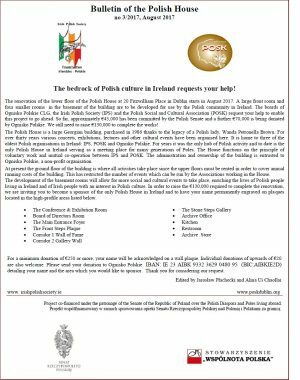 A project dedicated to the history of Polish community in Ireland and some significant aspects related to Irish Polonia. 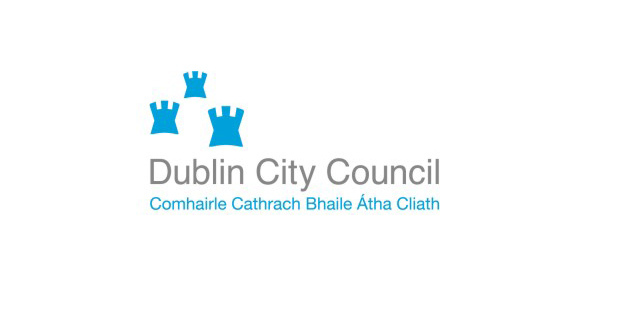 The project will consist of a series of talks on topics connected with Poles who lived and worked in Ireland in the past. 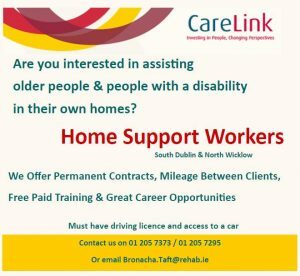 Some of ‘old Polonia’ made a very valuable contribution to Irish life. 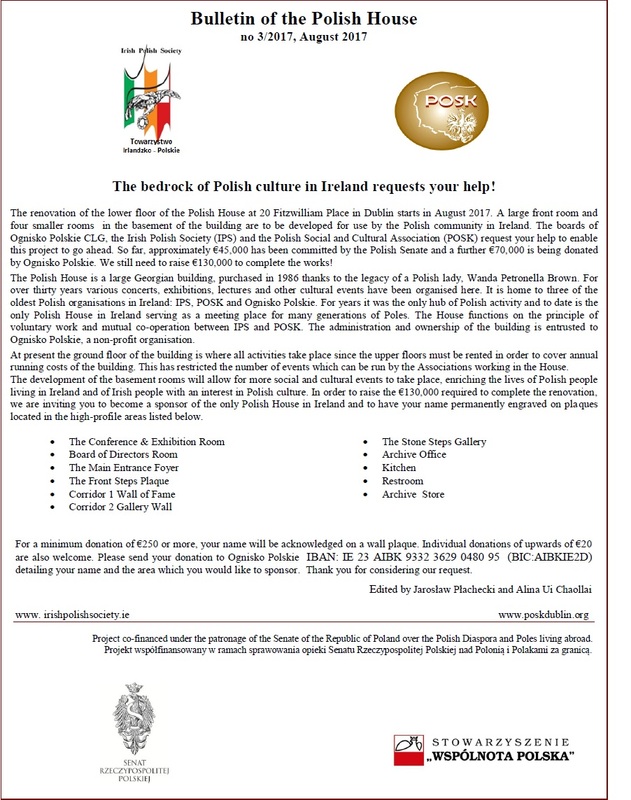 The project is addressed mainly to students of Polish schools in Dublin, their teachers and their parents. 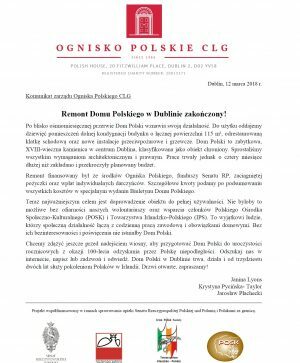 The Polish schools in Ireland operate at the weekends and provide classes in the Polish language. 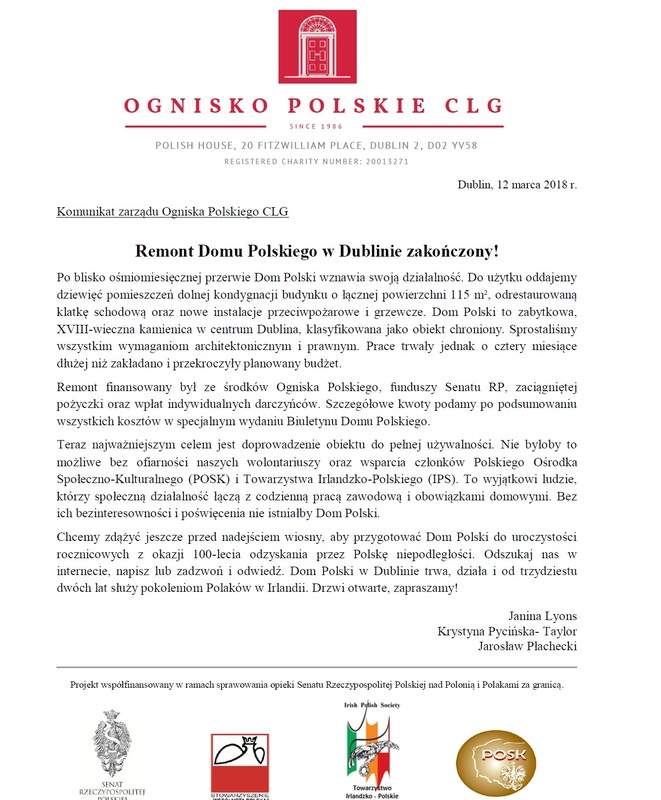 The main organizer of the project is the Polish Educational Association (Polskie Stowarzyszenie Edukacyjne) in co-operation with the Polish Embassy in Dublin. The first event will take place on Saturday, 9th March, 1pm-3pm, in St Benildus College (Kilmacud Road Upper). There will be a presentation of the recently published bilingual book Polish Emigration in Ireland in the 20th and early 21st Centuries; it will be followed by two short talks. 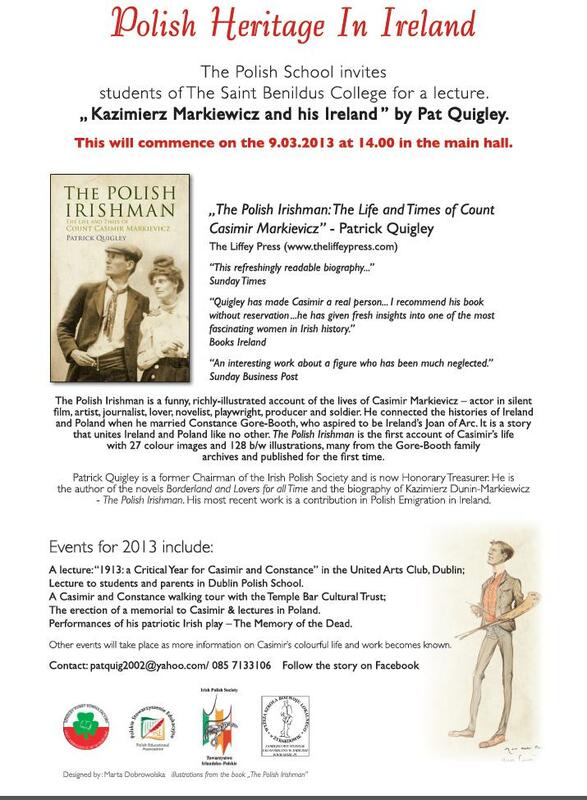 The speakers are Committee members of the Irish Polish Society: Jarosław Płachecki, Hanna Dowling and Patrick Quigley.